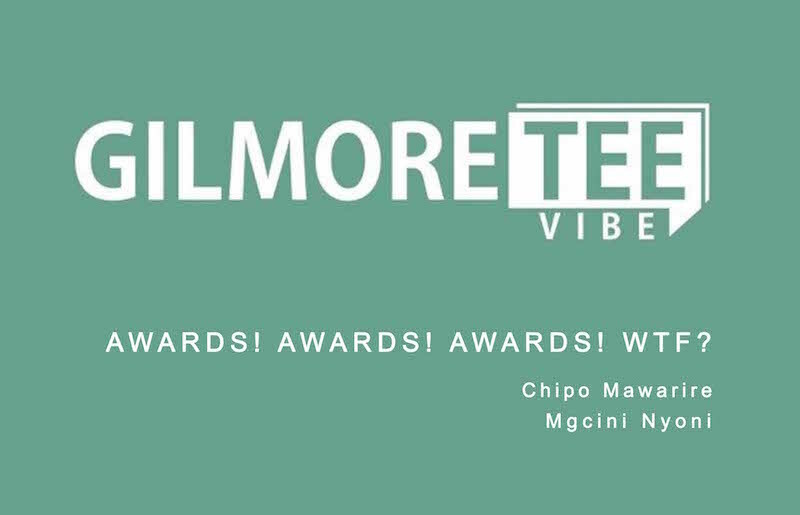 Home \ The Gilmore Tee Vibe \ The Gilmore Tee Vibe – Awards! Awards! Awards! WTF? The Gilmore Tee Vibe – Awards! Awards! Awards! WTF? With so many award ceremonies in Zimbabwe, one wonders if this small country needs them, or if those many resources could rather be used to build functional industries in our respective spaces. Gilmore is joined by social commentator, arts practitioner and award-winning photographer Mgcini Nyoni, and lighting technician and designer Chipo Mawarire. They discuss the existence of these “many” award ceremonies and also look into the illegal exportation of ivory to Malaysia, the Zimbabwe Hip Hop Awards, and the Oliver Mtukudzi saga. The show closes with MTV Shuga Down South, drama series.